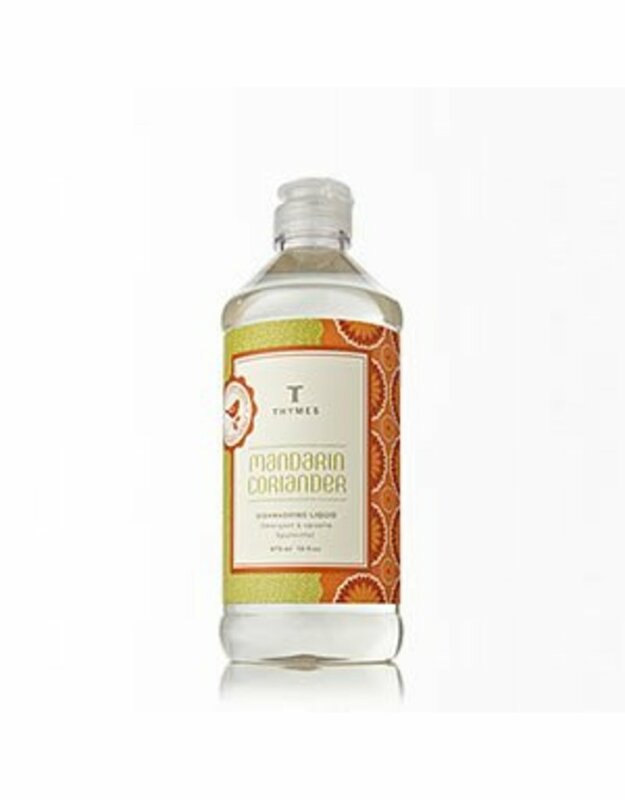 Thymes Mandarin Coriander Dishwashing Liquid - Miam! Swish dishes clean with biodegradable, naturally derived cleaning agents brightened with delectably distinctive scent. Fortified with comfrey extract to soothe and lemon balm extract to help tone.